Please note, PowerDirector is available in multiple versions. 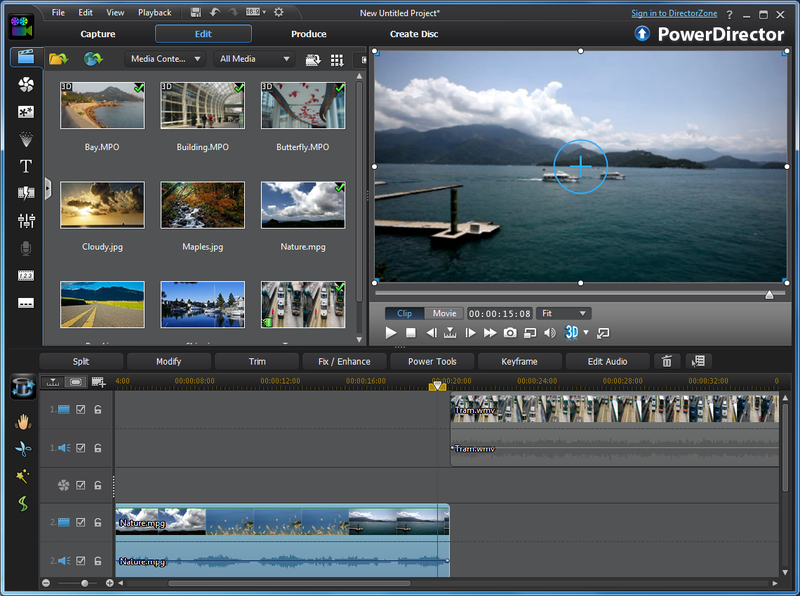 This one, PowerDirector Ultra, contains all the core video editing features, but omits some of the premium content you get with the Ultimate, Ultimate Suite and Director Suite builds: sample NewBlueFX motion and paint effects, assorted premium content packs, bonus colour correction and sound design software tools, and more. The download on this page is the trial version. You will receive the full build, with PowerDirector 11 Ultra content packs, Content Pack Essential and Content Pack Premium, after purchase. CyberLink MediaEspresso 6.5, worth £34.99, FREE! CyberLink LabelPrint 2.5, worth £14.99, FREE! Official PowerDirector 11 294-page official tutorial book (as a PDF), FREE! MediaEspresso 6.5, worth £34.99, enables you to convert between audio and video formats. LabelPrint 2.5, worth £14.99, is the final touch for your movie content. Burn your movies to disc, then use LabelPrint to create and print your own labels.